If my posts on the Columbus Zoo and COSI have tempted you to travel there someday, consider it this summer! 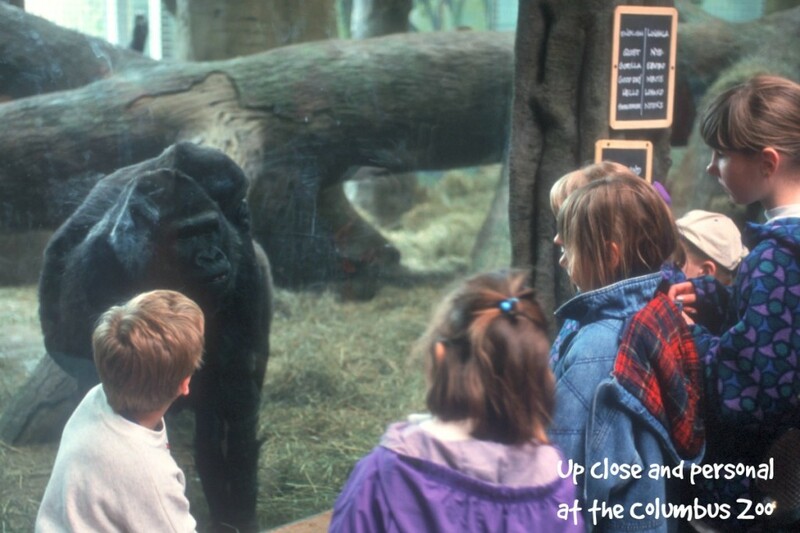 The Columbus CVB, the Zoo, COSI and Zoombezi Bay have partnered together to create a fabulous, frugal family getaway. 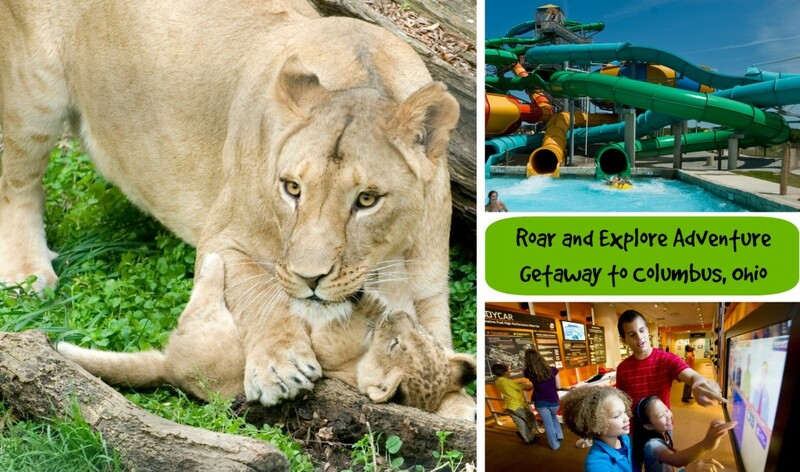 The Roar and Explore Adventure Getaway includes tickets to all three places, a two night hotel stay and breakfast at the hotel for a family of four, now through September 1. The package starts at $411 plus applicable taxes. Columbus Zoo and Aquarium, consistently ranked a top 5 zoo in America no matter which survey you look at, recently unveiled its 143-acre Heart of Africa exhibit. In the new exhibit, zoo guests can stand face-to-face with giraffes and feed them a snack; get up-close with lions as they board a grounded airplane; and take a camel ride. This exhibit is home to 150 animals and adds even more reason for travelers to visit Jungle Jack Hanna’s home zoo. Zoombezi Bay, which is the world’s only waterpark inside of a major zoo, expands this season with the opening of Baboon Lagoon. Designed for younger kids, this area includes eight kid-size water slides, fountains and a 1,000-gallon bucket dump. Older guests will enjoy the park’s 17 twisting waterslides, extreme raft rides, headfirst racers and the hair-raising 209-foot Cyclone, the world’s largest reducing-radius slide. For mom and dad, adults-only Crocktail Creek provides a lazy river where to relax. COSI, the nation’s top interactive science center, celebrates 50 years of science fun this year by hosting The International Exhibition of Sherlock Holmes. Running only through September, guests get their own book full of clues and can join master detective Sherlock Holmes to participate in experiments and stay hot on a trail to solve the mystery. 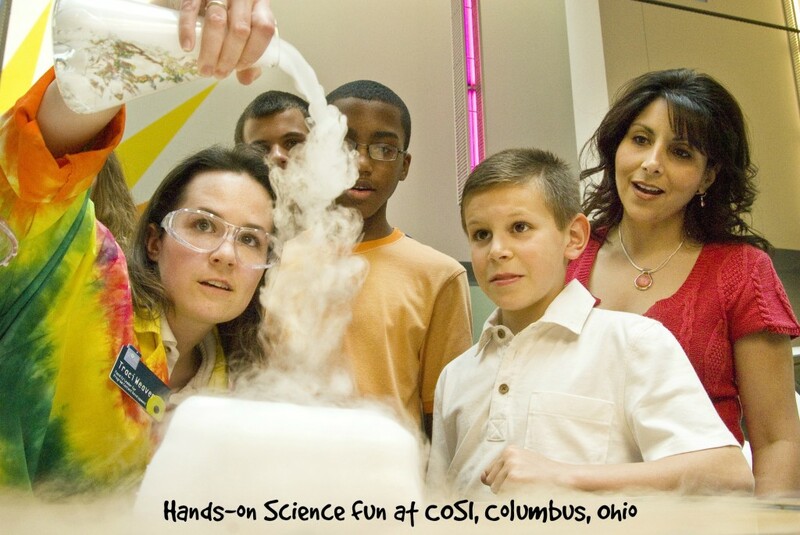 Permanent exhibits at COSI allow guests to ride a high-wire unicycle, use sonar technology and explore loads of other hands-on activities that make science fun. Drury Inn & Suites is the preferred hotel for this vacation package. The hotel offers special amenities, including: free, hot breakfast and evening snacks (suitable for simple meals); indoor pool; and complimentary wifi. Additional amenities may be available depending on hotel selected, though price may vary. If Columbus is on your radar, this is definitely a vacation package to consider. For more information on Columbus, including restaurants and other attractions, read this! To book this trip, visit Columbus Family Fun! When you go, please stop in to see the red pandas…. they’re absolutely adorable (though my son would argue that penguins are cuter). Hmmmm…. Which animal do you think is the cutest? Awesome! I have never been to that zoo, but I cannot wait to go! I have been to COSI. It is so cool there! I never even heard of the water park in the zoo! How cool is that?! I love all of the animals, but any cat is my favorite 🙂 I’m partial to Clouded Leopards. We live so close to Columbus that it’s silly we haven’t been there (except for drive-through’s on the way to Sandusky). I’d love love love to go to the zoo!